My roommates and I left Florence late Thursday night and arrived in Sorrento around 2am. We sluggishly checked in to Hotel Spicy (great name) and immediately passed out for our long first day ahead. All morning and the majority of Friday afternoon was spent commuting. We walked through town, down to the port, and then sailed across to the island of Capri. 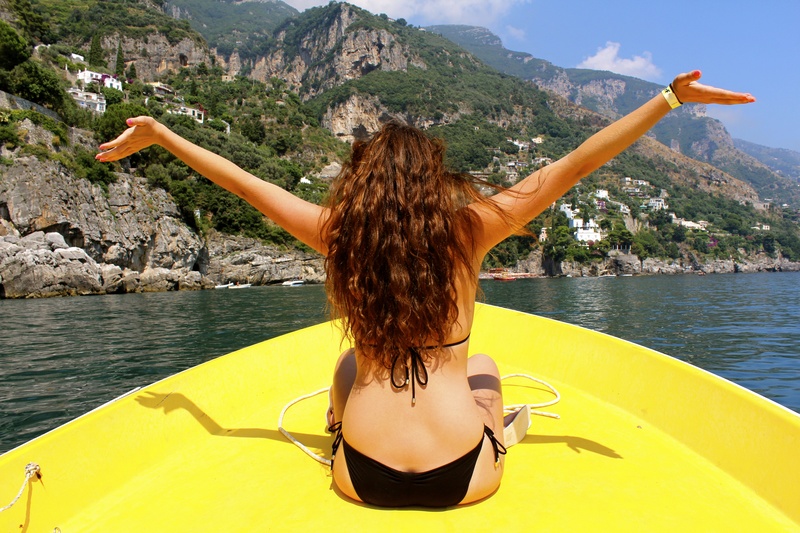 From there we immediately piled into a smaller boat to cruise around the coast of Capri. 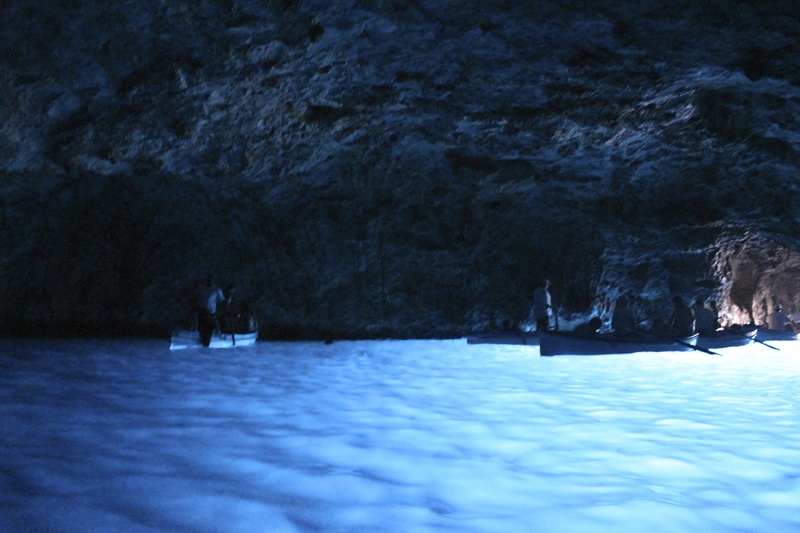 Our first stop was at the Azzurra Grotta (Blue Grotto), we broke into groups of three and took small row boats directly into the grotto. The grotto has a gorgeous, yet eerie aqua glow. This is caused because of sunlight passing through an underwater cavity that shines through the water, illuminating the entire cavern. Because of inconsistent sea levels, the grotto is frequently closed, fortunately it was accessible when we went… the only problem was that we had to fit our boat through the 3ft hole to get inside. The three of us laid down in the boat while the skipper pulled us all through the minuscule opening. Once inside, we all jumped into the water, swam around for a bit, and then spent equally as much time trying to get back into the boat. After the grotto we got back onto the main boat, continued sailing around Capri, and then went into town. 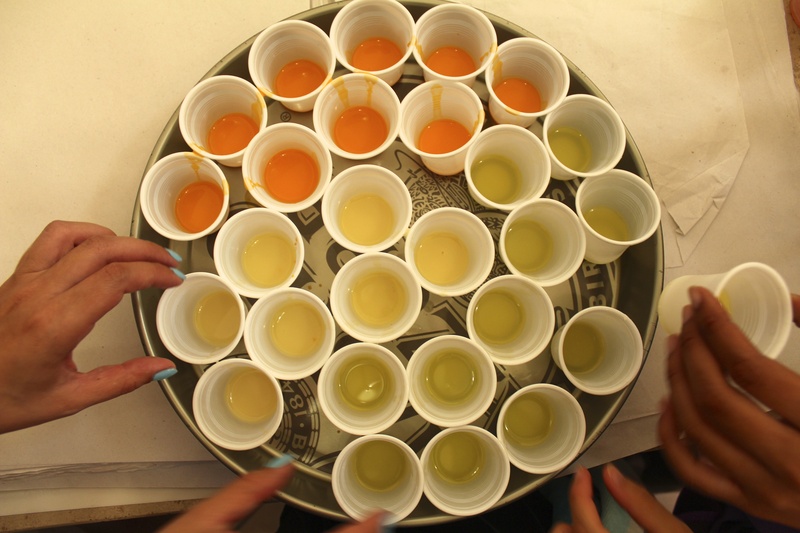 We quickly stopped at a little stand for the locally famous Granitas, a fresh squeezed lemon and orange juice slushy (and if you kindly ask for some vodka, they keep a stash of Absolut). Granita’s are so unbelievably delicious, I honestly could have consumed gallons of this frozen nectar of the gods. We strolled on down through town to the beach where we had lunch at an amazing seafood restaurant called Da Gioia, which overlooked the aqua ocean with stunning panoramic views. After lunch we walked down to the beach and relaxed for a moment before heading to our Limoncello tasting. Which was probably not the best idea after baking in the sun and hiking up and down the island. Finally, after a long day we headed back to Sorrento and caught up on some much needed rest. 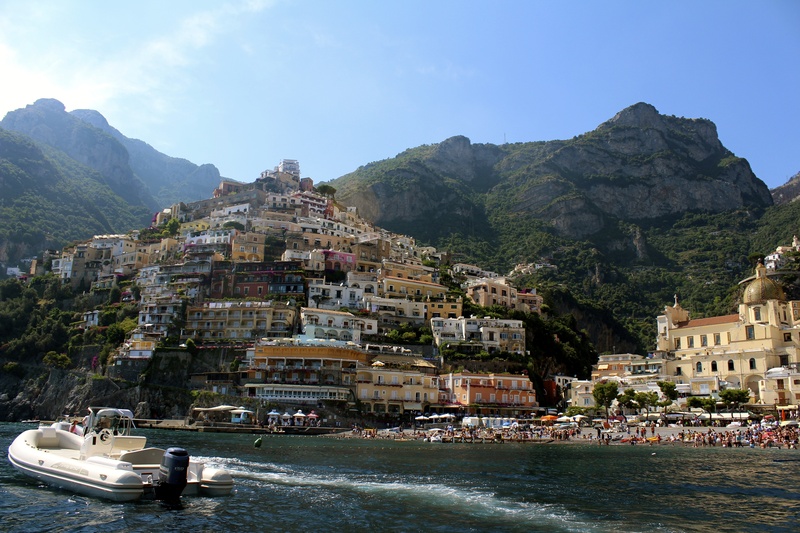 On Saturday, we took a bus to Positano, a small beach town close to Sorrento. We were dropped off on the edge of a cliff and directed to follow the narrow roads down into town. Once we arrived at sea level it was as if we stepped down into a completely different world, Spiaggia Grande is completely surreal. I went straight for the ocean and knew from that moment that I had made a huge mistake only staying for a day. We rented a few lounge chairs, found a little sandwich shop in town, and picnicked in paradise. After lunch, my roommate and I had a small boat take us around the cove to “cliff jump” into the ocean. Which was essentially jumping from a few rocks that would have been exhilarating if I were nine-years-old. Nonetheless, we swam around, met some locals, and then cruised back to the main beach. After we got back we just relaxed for the rest of the day and did a little bit of shopping. Before leaving, we were directed to a small leather shop where a man, who spoke no english, made custom leather sandals. There were tons of different colors and textures so you can literally customize whatever you can imagine. I made a pair, got on the bus, and then headed back to Sorrento for the evening. In 79AD the eruption of Mt. Vesuvius plastered the entire town of Pompeii and it’s inhabitants. Since then, very minimal restorations have been made solely to illustrate what historians believe life was like back then. 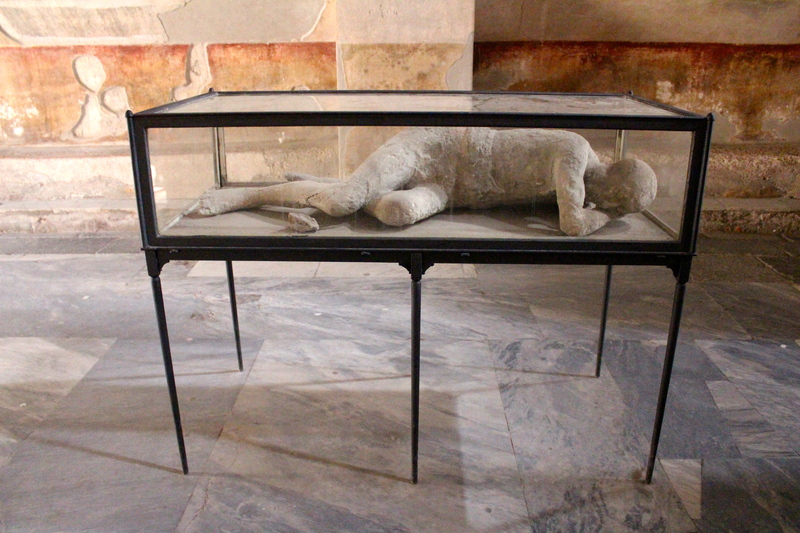 A tour guide led us through the ruins and brought us to the infamous plastered bodies. It’s hard to explain the emotion experienced when seeing casts of actual human bodies, human bodies that I’ve read about for over a decade. At that point, all of the stories and pictures suddenly received proper validation. I was in complete awe. 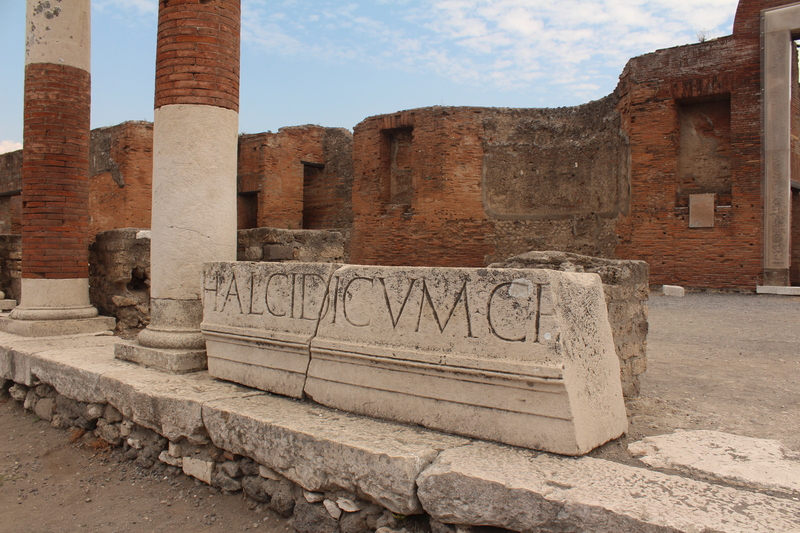 After Pompeii, we stopped for a quick lunch at an odd place that our tour guide had suggested. You would think that it’s really difficult to mess up a Pizza in Italy (especially so close to Napoli), but I suppose anything is possible. After lunch we got back on the bus and headed to Mt. Vesuvius. The bus dropped us off at the bottom of the hiking trail and we began our steep voyage to the top of the crater. 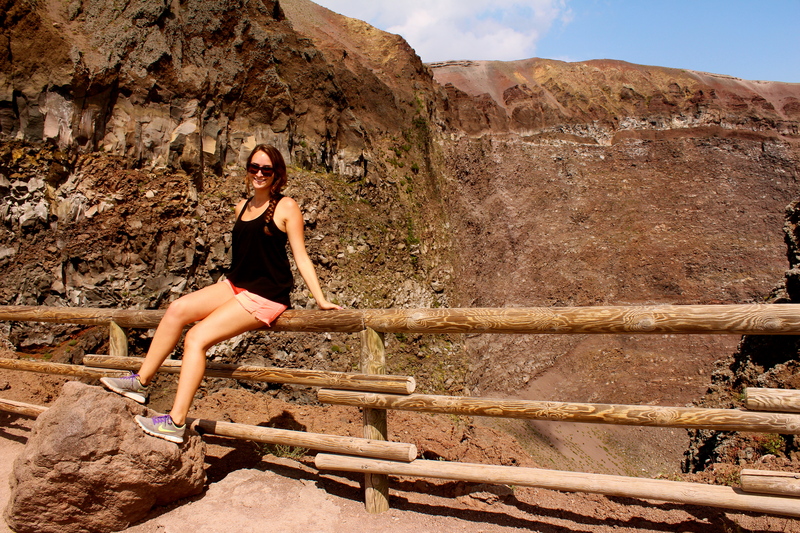 Vesuvius is still an active volcano, it’s last eruption was about 70 years ago. Though the chances of an eruption are extremely unlikely, I still wanted to get my pictures and get the hell out of there. We then began our six hour drive back home and ended our much needed escape to the Amalfi Coast.